Discussion in 'General Discussions' started by Asaki, Sep 16, 2016. Can beat CoD 55 but the maximum of CoT is only 16 and only managed to climb Platinum in the league. Highest champion lvl 44 is the most suspicious. Livenortusitonalor, Discord and anavn like this. I don't understand how is this cheating. Duckiee Ducks shall dominate the world! The rest just means suspicious, but the number of 5*-6* just means he has the only specific (or rather, dont have the cards, thus hack the levels) cards for the cod. 2. Dont have the required cards? -> Hack the cod levels. 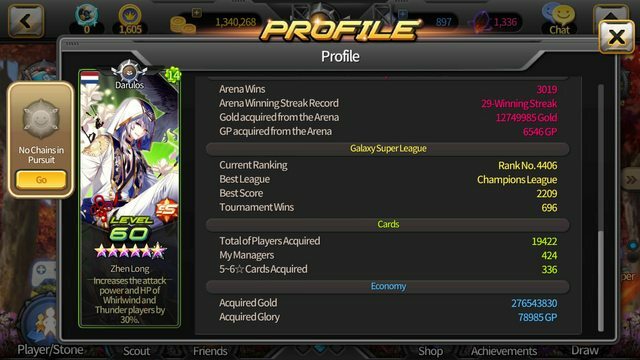 Why a strong player not climbing to galaxy or champion ? To avoid attention ? To Lazy ? Giving up for nice prize ? Why a strong player only stopped in CoT 15 ? I think because he can't... Rules.. 2-4 shoot to finish in some stage. Because I think he is using a mod apk for maximum damage. Livenortusitonalor, Discord and Élanvital like this. Livenortusitonalor, Ryyme and Asaki like this. "Cod season 5 is insane seriously take more time to finish than cot. If he not cheat I wonder how can he finish cod season 5. No more than 20 players could finish this despair and their record not weird as this guy." Maybe you can compare his record with those people (strong players being lazy to climb league/ do COT). Well.. everyone has their own opinion about this, that is why I posting something like this. I wanna hear other people opinion, especially from the SS veteran/expert/pro players. Livenortusitonalor and Duckiee like this. 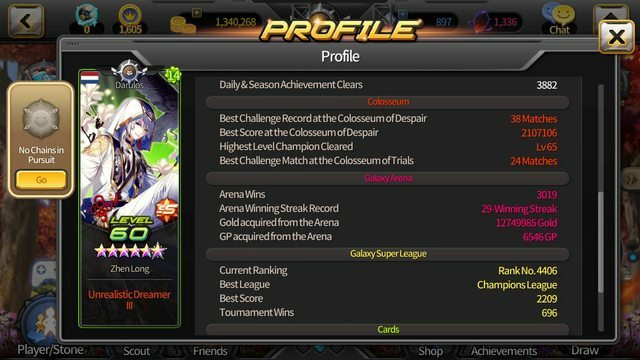 i play soccer spirits for 2 years i never draw a legend player i cheated too ? striker29, Livenortusitonalor, Discord and 2 others like this. Looking at his rank (114), I would say he has been playing around 1.5 years, the same as me. If you look at his 'Total of Player Acquired' compared to his '5-6* Cards Acquired', you could really suspect him from cheating his characters into the game. What is also possible, and this has happened before, that this is a lurker account. This means this account has either been bought or re-used again, and that the user is a HEAVY whale. Orrrrrrr... He has found a way to beat CoD easily. Could be an Askeladd doing all the work. PaxMilitae and Asaki like this. Thank you for the comparison and your opinion. Discord and PaxMilitae like this. This has happened a lot of times before.. Remember the level 46 guy with hercules ace? they banned him within a week... pretty sure they will do something about it even if it's a cheater.. Recently, I also found something completely out of the blue. A rank 39 player with SS team ability and Alice ace..
SS TA during rank 39 is really impossible, considering the team cost needed to reach that TA..
What Duckiee said. The 5 to 6 star count is very suspicious. You cannot beat Colosseum of Despair level 55 without an extremely good end game team. If you can beat CoD 55, you should be able to hit Galaxy league. I would just like to point out that max dmg modded APKs exist and it is highly likely that he is using them. Although that would mean that he should be higher in league. Maybe he doesn't want other players to find his team in away games and suspect him. Livenortusitonalor, Discord and Asaki like this.